This English Beach Hut Is Anything But Corny! A new coat of paint and some different decorations can transform your bedroom into the utopian paradise you’ve always wanted. But getting the right color for your bedroom is a tricky proposition. You have so many factors to consider, such as what color your furniture, bedsheets, bedframes, cushions and drapes are. Then you have to think about color palettes and whether you’re keen for contrasts or complementing colors. 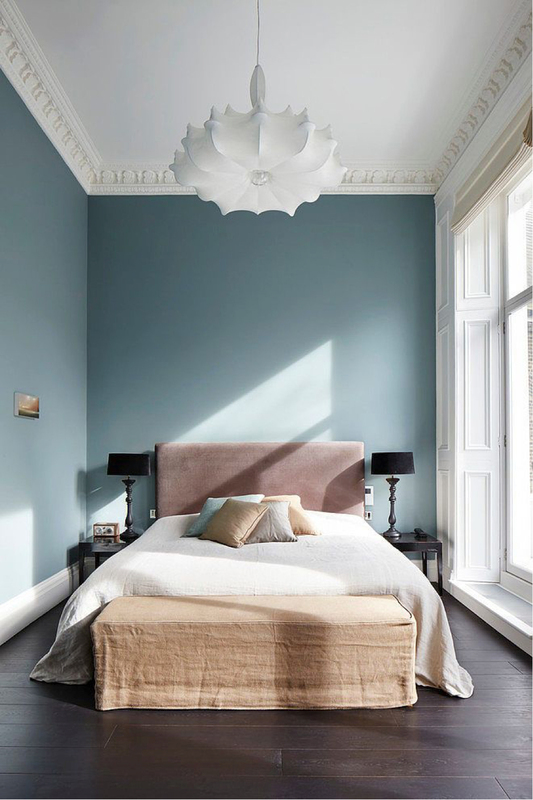 The great thing is that there are plenty of helpful resources out there to help you get inspired, articles and guides to help you choose the perfect bedroom color scheme for you. Here we break down a few popular colors and weigh up their pros and cons. 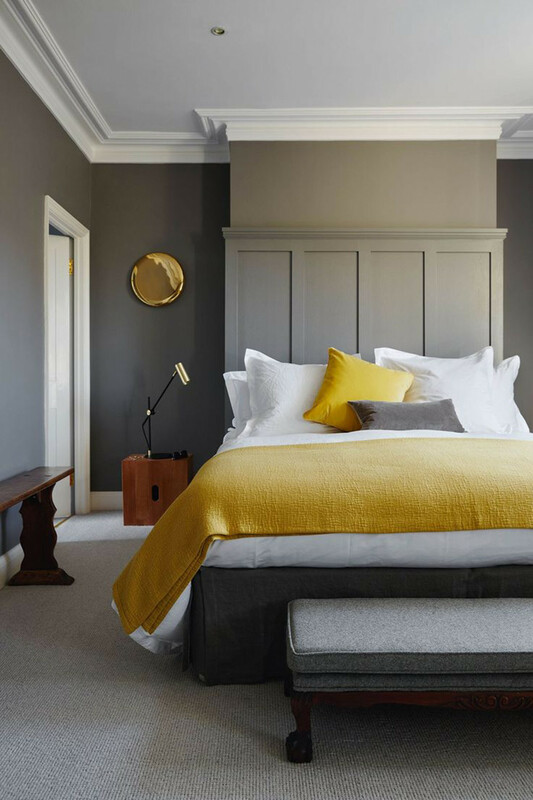 Yellow is generally associated with sunshine and energy, which means it isn’t always the best choice for a bedroom wall. However, this all depends on what colors you choose to pair it with. The fact is, yellows can be cheerful and warm so don’t discount them. If you want a splash of yellow, check out this elegant gold and white bedroom or the picture below. Green is known as a calming, restful color that evokes nature and balance. It can work wonders in most bedrooms and really lift up an otherwise dull space. 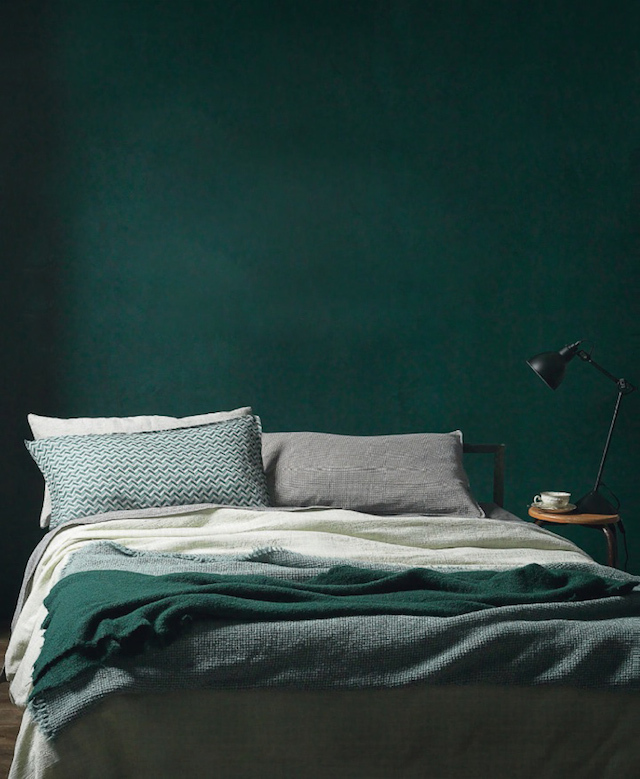 However, there’s a theory that too much green can create an atmosphere which is too laid back and complacent, leading to oversleeping and lethargy. This can be countered with a warm undertone…a decent amount of red or blue. At once soothing and contemplative, blue is said to promote intellectual thinking and can create a serene, protective feel. It can be very stylish and elegant, either as the central or secondary color. Just be careful to pick a warm shade of blue or else it may come across as too clinical and cold after a while (hence the term: feeling blue). A fun fact about blue is that it’s been known to prevent nightmares and lower blood pressure! As you’re probably aware, red is linked with danger, passion and warmth, perfect for social situations. It also stimulates appetite. These traits don’t always make it the best color for your bedroom. However, you can skirt away from the dominant, overpowering shades of red. Another great method is to just paint one wall red (an accent wall) or to use it as an accessory color. At the end of the day, you can research colors until you’re blue in the face. If you believe in the psychology of color, then certainly some colors and color schemes are preferable for the bedroom – light, calming creams and blues etc. But remember that it’ll be the first and last thing you see each day so ultimately it comes down to what colors you like.